Apologies for the interruption - the fluffy four-footed addition to our household has made finding time for blogging very difficult in recent months. Which is unfortunate really, because I have at least three or four posts waiting in the wings that I would really like to put together! We picked up our young Clumberdoodle pup at the beginning of April and time has absolutely flown by since. For a couple of months before Marvin's arrival we were busily DIYing and generally attempting to puppy-proof (ha!) the house and garden a little. It's all been a bit of a blur to be honest and reminded Jane and I of a heady combination of those weeks with a newborn babe, mixed in with a good dollop of toddler mischief and a hint of teenage experimentation and boundary-pushing. 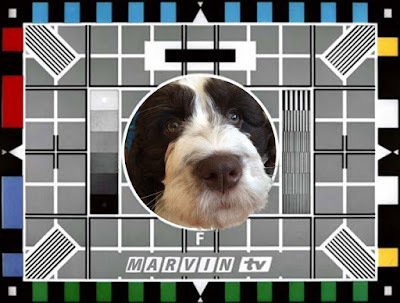 Fortunately Marvin is a dog who likes a nap, and can be persuaded to do pretty much anything for the promise of a bit of chicken or nibble of Schmacko. Around the middle of March I was chuffed to be invited by the wonderful Dr May Ng to speak at the North West Children and Young People's Network Education Day - if you'd like to get a glimpse of what went on I put together a Storify of the tweets. 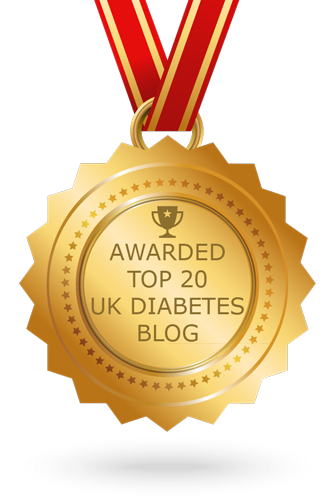 Alternatively, everyone's favourite Diabetes Dad, Kev Winchcombe wrote a great, but altogether far too modest blog post about the day. His talk was far more packed with laughs and interesting detail about diagnosis, transition, DIY APS and Nightscout than my blathering about spurious similarities between daily management of type 1 diabetes and Scalextric! 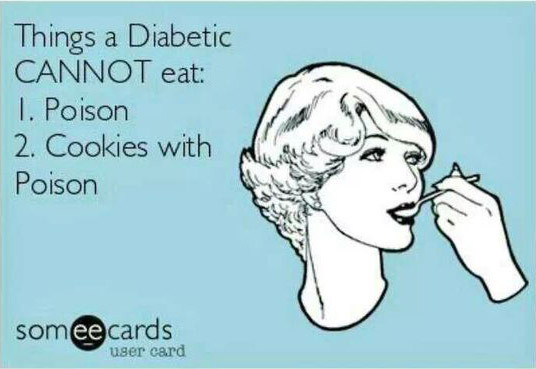 In the coming months I am really hoping to post a follow up to my reflections on DPC2016 detailing what I picked up from Iain Cranston's fantastic presentation on interpreting CGM data and Ambulatory Glucose Profile reports. Additionally I have seen a number of conflicting reports/research about cholesterol and Statins in recent weeks and I'd really like to post something about that - if only to be able to process it a little myself. Thirdly, I am honoured to have been invited by Abbott to attend an event in Stockholm in June called 'Dx' which looks to be really very interesting indeed. Lastly I have been quietly working with a few other DOC legends (quite how I managed to scrape into their hallowed company is beyond me) on something I am only half-jokingly calling "Project Enormous". We hope that soon - perhaps in the next month or two - it will reach the point where we can release it into the wild and see if it has any 'legs', and lives up to the promise of the idea. Hope your BGs play fair in the meantime and thanks, as ever, for reading. Disclaimer. For my attendance at the North West Diabetes Network Education Day my travel and accommodation expenses were generously paid, but no speaker's fees were offered or received. Congratulations on Marvin - he looks lovely. Hope you've managed to puppy proof the garden OK. 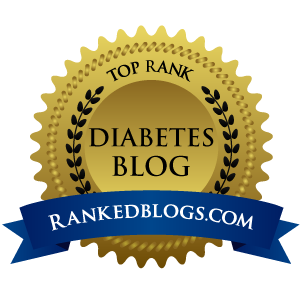 I very much look forward to your posts on CGMs and average glucose profiles when you have more time. 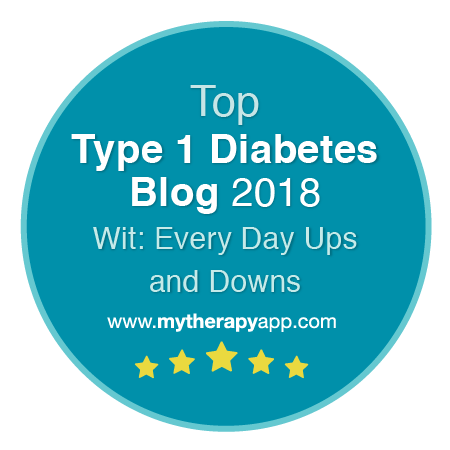 Do you think Abbott will update the Freestyle Libre to include a hypo alarm soon? There's also been an interesting announcement that Glucovation and Dexcom have finally settled their respective law suits and that Glucovation are still on track with developing their inexpensive CGM that won't need calibration. Thanks Ian! I'm not sure what Abbott (or anyone else) can do with the Libre in its current form to offer hypo alarms without the need for scanning. I have seen an emerging open-source homespun effort called 'Limitter' but it appears to need you to strap something pretty big and all covered in wires and bits of string to your arm. There is no transmitter in the Libre sensor, and no power to enable such a transmission to take place. So any solution with a current Libre sensor would require some hardware or other to be strapped over or at least very close to the sensor itself. Never say never though, eh!